6 experts share their pest control tips and product recommendations, specific to regional trends. Spring is here for most parts of the country, and we are all ready to leave the cold weather of winter behind. Unfortunately, due to the government shutdown, new pesticide product reviews and revisions were put on hold. This will delay some of our planned product launches from Zoëcon, but we are excited to share more information about these new launches in the months to come. In the meantime, as you read through this newsletter you will see a common thread about how to reduce callbacks this season. 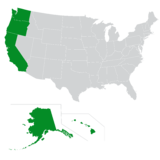 Spring also means preparing your customers for the return of many different pests based on your region. As temperatures start to warm up, tick season is high on many radars and the spread continues to new regions. 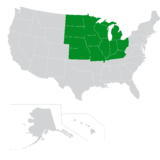 We recommend that PMPs keep a close eye on the tick disease surveillance data to monitor tick activity across the country. And as always, you can consult with your local Zoëcon rep about the best solutions to control these and other insects in your area and reduce callbacks. Finally, I would like to introduce Walker Mobley as the newest member of our sales team. Walker will cover Georgia, North Carolina and South Carolina, and we are excited to have him on board. 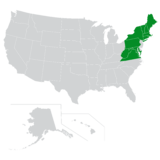 Ticks are a common problem pest in the Northeast region, making prevention a vital part of tick control. As temperatures slowly begin to warm, keep these tips in mind for a successful treatment and satisfied clients. Ticks wait in tall grasses for their next host to pass by, which is why a major part of preventing ticks involves yard management. To keep tick populations out of their yard and to create a “tick-free zone”, clients need to keep landscaping trimmed and yard edges neat, especially when properties end near wooded areas. A quick tick tip: Prevent tick hosts, such as deer and mice, by relocating woodpiles away from the home, removing garden waste and securing trash containers. This lowers the chance of ticks dropping from hosts within the tick-free zone. Zoëcon offers effective options that include traditional chemistries such as Lambda 9.7 CS and ExciteR™. For customers who want natural products to control ticks, Essentria® IC-3 Insecticide Concentrate provides immediate knockdown and long residual control of insects. 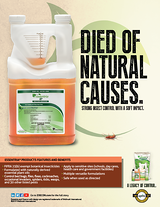 Get immediate knockdown and long residual control of both flying and crawling insect species with the natural control power of Essentria® IC-3. Bed bugs are found in many places outside of bedrooms, including on public transportation and in schools. When Georgia McCallister of PestMaster Services in Florida treats for bed bugs in a local veterans hospital, she trusts Zenprox® Xtend Aerosol to effectively control the pest. Zenprox® Xtend Aerosol combines an insect growth regulator (IGR) with an insecticide inside a 360-degree valve aerosol to deliver efficient pest treatments and reduce callbacks. 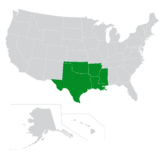 Drew and I would like to join Tony in welcoming Walker to the team, helping us serve our customers in the southeastern states. 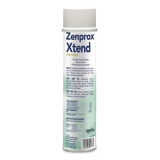 Zenprox® Xtend Aerosol offers control of bed bugs and more than 20 other pests with a combination of an insect growth regulator (IGR) and an insecticide. Kitchen infestations present a number of challenges for pest management professionals and their customers. German cockroaches, drain flies, fruit flies, stored product pests, and other kitchen pests are difficult to control, and they tend to hide in the many nooks and crannies. To control kitchen pests, we recommend using products from our Gentrol® family. Why Gentrol®? 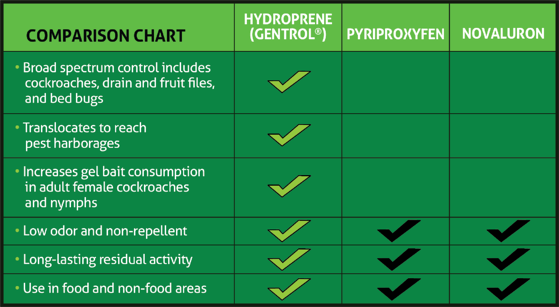 Because not all insect growth regulators provide the confidence and reduced callbacks as our proprietary active ingredient, s-hydroprene. For convenience, try our one-step product, Gentrol® Complete Aerosol which features dual active ingredients to break the pest life cycle, particularly those common to food-handling environments. It’s approved for use in sensitive areas, including direct applications to sink drains. 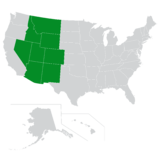 For tank-sprayer applications, our translocating active ingredient gets into the hard-to-reach areas. Gentrol® IGR Concentrate can be applied as a fogging agent, general surface spray or tank mixed. Gentrol® IGR Concentrate controls pests for four months and can be used in sensitive application sites including kitchens, schools, hospitals and nursing homes. As our region prepares for spring, flea populations that were dormant during the winter will begin to build. With pre-adult fleas making up approximately 95% of a typical infestation, treatments need to be thorough and PMPs need to know where to look. Floors, carpets, hardwood and tile - Look for gaps, near the feet of furniture and in thresholds. Drapes and wall hangings - Inspect for fleas on crown molding, valances and behind photo frames. Furniture - Move or disassemble furniture to find fleas. Pets and bedding - Check all areas that pets frequent such as a certain side of the couch or beds and headboards. When applied early in the season, Precor® products can help stop flea infestations before they start. 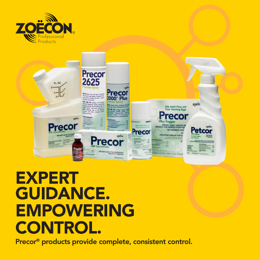 Offered in a range of formulations, Precor® products feature up to seven months of control against future flea infestations, allowing you to do more with less and reduce callbacks. Rid homes of fleas you can see and those you can’t using the Precor® family of products. Formulated with (S)-methoprene, Precor® products stop the development of immature fleas into adults, thus breaking the life cycle. As the weather warms and we all plan for outdoor activities, customer awareness and requests continue to grow for products that can be used around pets or children. To make the most of these opportunities, “green” alternatives should come to mind. These botanical options are great for clients looking for natural, less toxic pest control. To meet client needs, we recommend using the Essentria® line of products. Derived from essential oils, Essentria® products provide knockdown, repellency and even larvicidal control of insects while remaining FIFRA 25(b) Exempt. 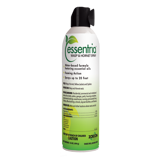 Control flying and crawling insects indoors and out with Essentria® All Purpose Insect Concentrate which combines rosemary oil and peppermint oil to kill adults and larvae of a variety of insect species. For perimeter and barrier treatments, Essentria® G Granular Insecticide controls a wide range of pests using clove and thyme essential oils which both possess natural insecticidal properties. If your customers are seeking an environmentally conscious insect control, make an impact with Essentria® products. 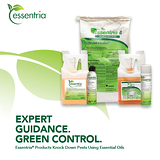 For effective pest control with no label restrictions, reach for the Essentria® line of 25(b) Exempt pesticides. Prevention is an important part of effective pest control that can also reduce callbacks. Prepare your clients for pest season with outdoor spring cleaning tips to control pests. When the weather begins to warm, encourage clients to take to the outdoors and spruce up their property. Wasp or hornet activity and nest building should be identified and treated to prevent populations from increasing with the temperature. For natural control, Essentria® Wasp & Hornet Spray is an essential oil formulation, spraying up to 20 feet with foaming action to control stinging pests. Through small spring cleaning tasks, clients engaged in pest prevention can lead to more effective control. Essentria, ExciteR, Gentrol, Precor, Zenprox, Zoecon and Zoecon with design are registered trademarks of Wellmark International. Central Life Sciences with design is a registered trademark of Central Garden & Pet Company.